When it comes to insuring Fido or Felix, there are plenty of ways to keep costs down. Here are ten top tips for getting the best cover for the best price. Accident only. This cover is usually time limited and provides cover for injuries up to a maximum of 12 months (365 days); however, some insurers may also offer Accident Only cover, but on Maximum Benefit terms (see below). Time limited. This cover level is considered as a basic level of pet insurance which provides cover for any illness or injury up to a maximum of 12 months (365 days). Maximum benefit. This level provides extensive cover for any injury or illness up to a maximum amount, as detailed in your policy and with no time limit applied. Lifetime. This is the cover level that most vets recommend. It’s the most extensive and provides cover for ongoing conditions for the lifetime of your pet, provided there is no break in your policy cover. Getting your pet insured is important so you need to find a policy that meets your needs and requirements, but also one that you can afford. There is really no point in having cover in place if the policy doesn’t offer longevity and you can’t afford to keep up with the policy premiums. The general rule is that the more extensive the pet insurance, the more expensive the policy premiums will be. There are multiple pet insurance providers, each offering different cover types, benefits and drawbacks. Pet insurance is often a lifelong commitment, so it’s always best to fully research all the options available to you before reaching a final decision. 4. What are others saying? Review sites are always a good indicator of what other people have experienced with a particular insurer and how they rate their service. There are various sections of cover for pet insurance that different insurers may or may not provide for, such as holiday cancellation or boarding fees. It’s always advisable to make sure the sections of cover are being provided by your chosen policy. When your pets reach a certain age, it’s common for percentage excesses to apply to claims. These excesses can vary from a small contributory amount, to a large excess, meaning you have to pay a large sum up front in order to pay for your veterinary treatment. The same also applies to standard fixed excesses. Across insurers you can pay high excesses for cheaper policy premiums or pay higher excesses for certain breeds that you are looking to insure, so it’s vital you select an excess that you are able to afford should your pet require treatment. 7. Do they offer discounts? 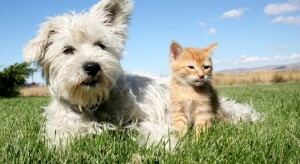 Many insurers offer discounts for pet insurance policies. This can be a new customer discount, multi-pet discount or a loyalty discount. Therefore, take into consideration the additional costs that may be applied to your policy at the renewal of cover, as some of these discounts may not continue after your first year. Most insurers won’t provide cover for veterinary fees that relate to a condition which start prior to the policy starting. When setting up pet insurance cover, make the insurer aware of anything that may affect the policy. This means that you are then fully aware of what is and what is not covered by the policy prior to purchasing the insurance. It is widely known that the majority of people do not read the policy terms and conditions fully before purchasing a policy. In fact, with pet insurance, most people only refer to these before making a claim. Therefore, to avoid any nasty surprises, read the terms and conditions, question any areas that you are unsure of and make sure you’re comfortable with the insurance before proceeding with purchasing cover. 10. How easy is it to make a claim? This is one area that is crucially important, should your pet become injured or fall ill. Checking how the claims process works, prior to purchasing cover, makes this process far less stressful in the event that you need to make a claim. This may involve discussing what information would be needed in the event of a claim, what is the considered as the normal claim turnaround time etc. Most insurers allow you to download claim forms from their websites to make it as easy to start the process.